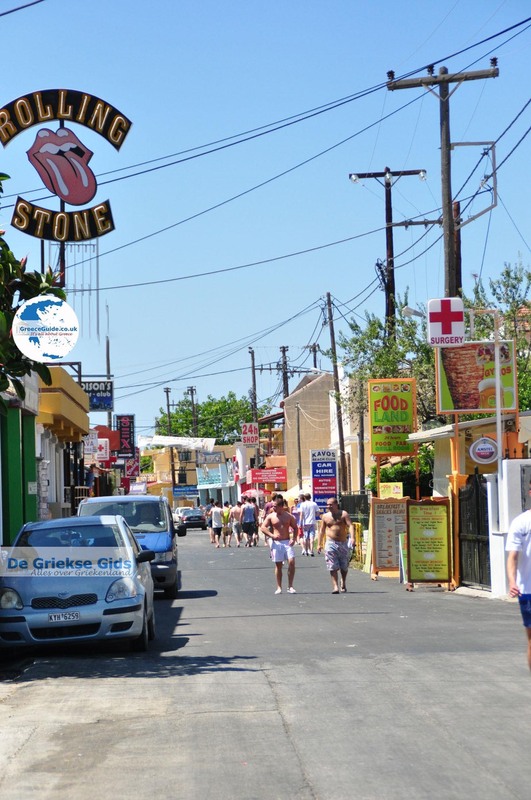 KAVOS. 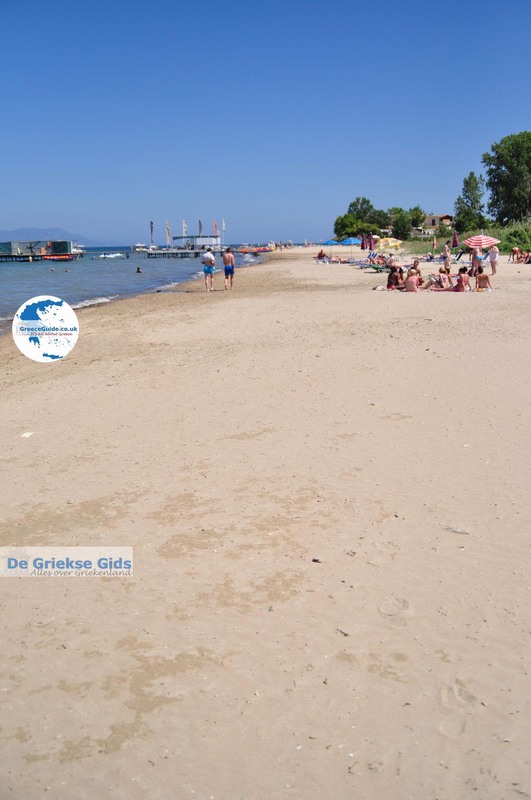 Kavos is located in the southern tip of Corfu, 44 km from Corfu town. 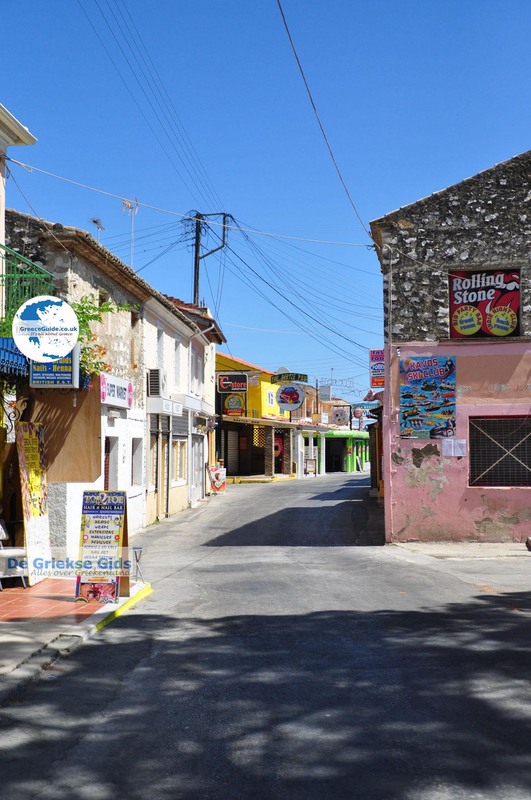 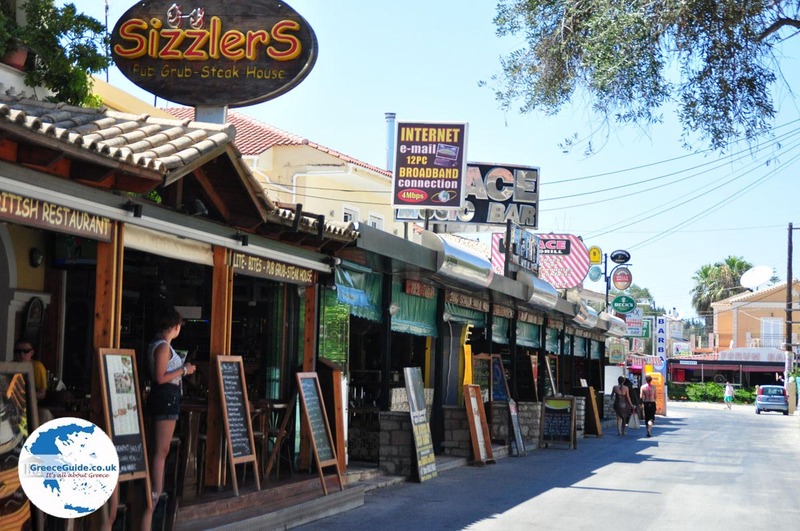 Kavos was formerly a quiet fishing village but the last 25 years it has changed very much. 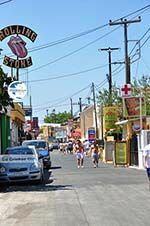 The town has become increasingly touristy, many hotels, apartments, restaurants, bars and discos were built. 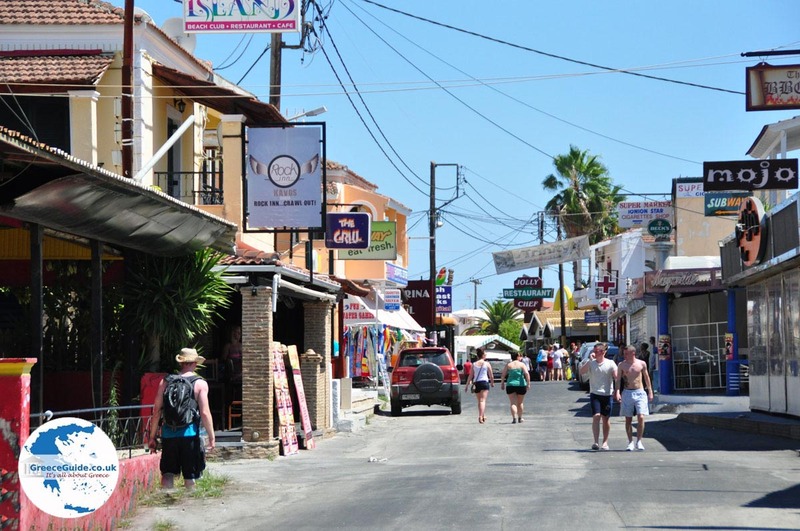 In the summer it is mainly young British tourists who come here on vacation. 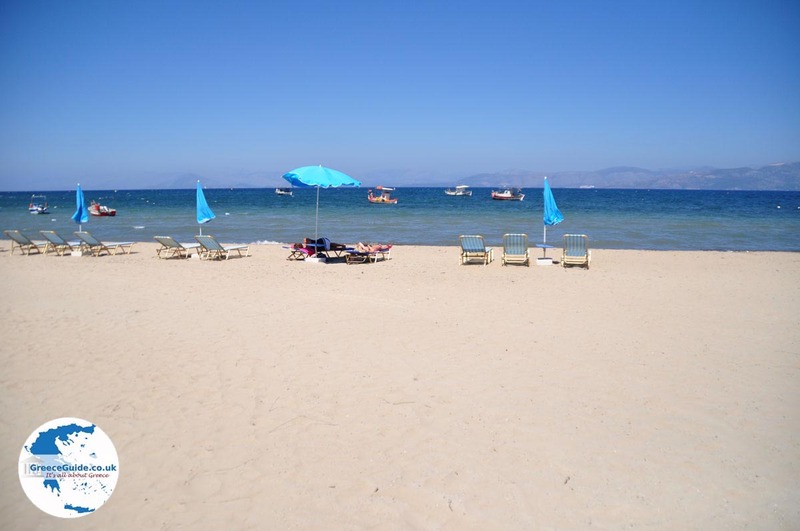 The beach of Kavos is very well developed, there all kinds of tourist facilities: sunbeds, canoes, surfboards, everything is for rent. 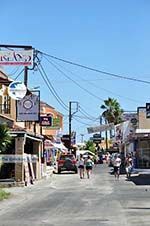 You can also take a boat to the islands of Paxos and Antipaxos, to Corfu town or even to Sivota and Parga on the Greek mainland (Epirus). 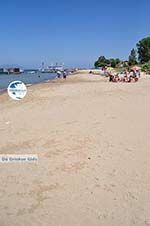 From Kavos, you can take a stroll to the Panayia Arkoudillas monastery which is on the southern tip of Corfu, on Cape Asprokavos. 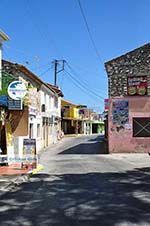 It is on the road that leads to Spartero, about an hour walk south to the abandoned monastery and the deserted beaches. 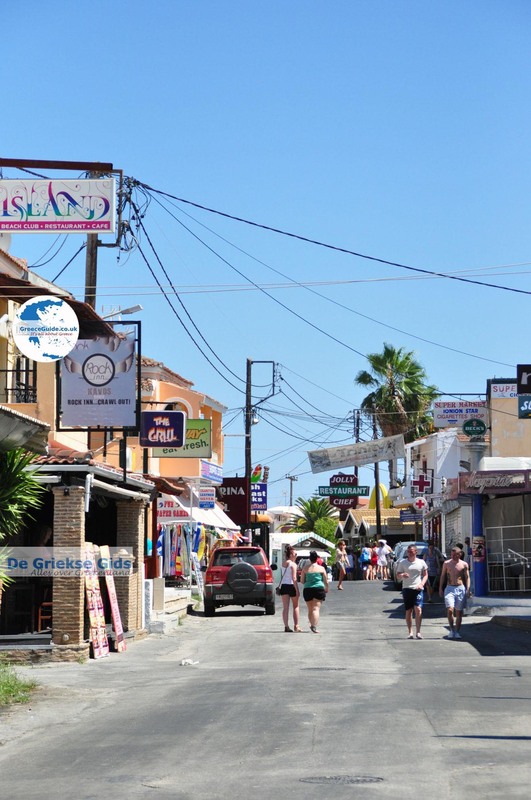 The town lies on a long beach along olive and cypress trees. 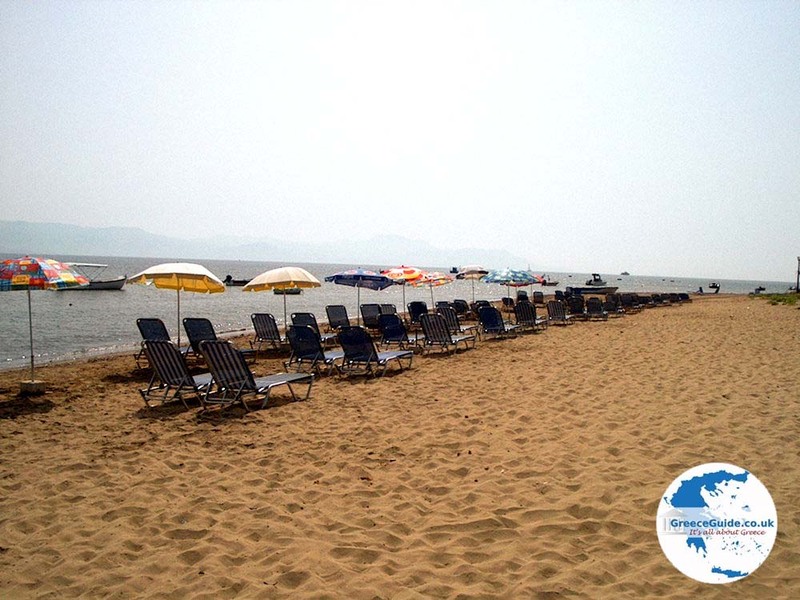 From this 3 kilometres long beach, you have a magnificent view of the Ionian sea and the mainland. 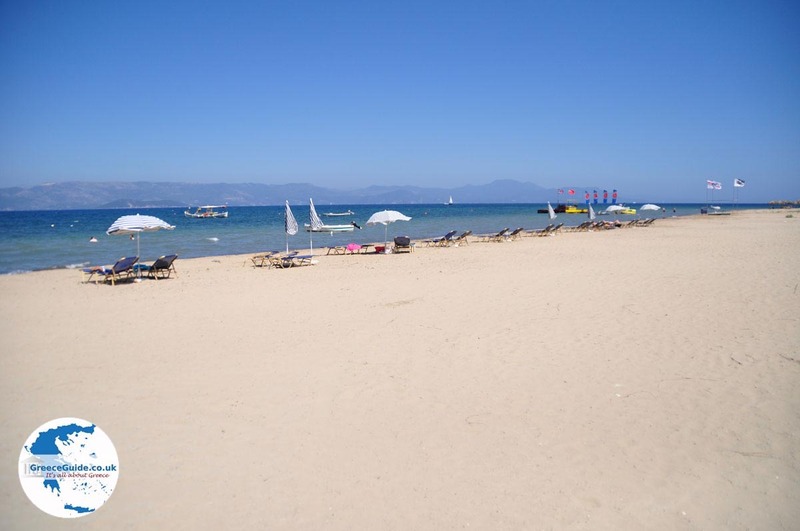 The beach slopes gently and is ideal for families with young children. 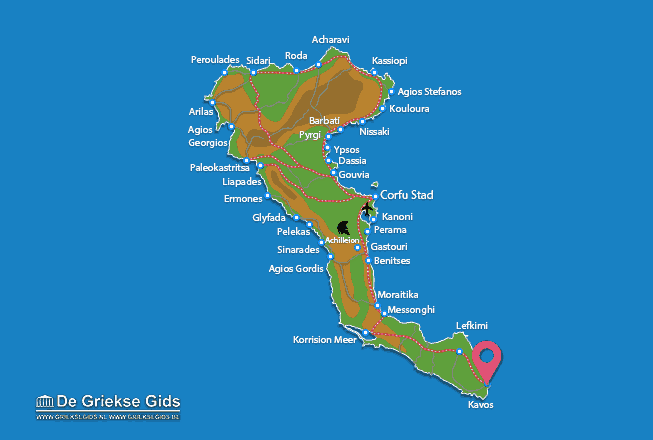 Corfu: Where on the map is Kavos located?